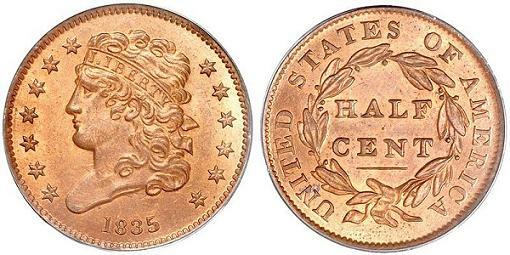 Half Cents, also known as the half penny, were one of the earliest United States coins (1793-1857). They were first minted in 1793, just as George Washington was getting started on his second term as President of the United States. Believe it or not, a long time ago, a coin worth half a penny could actually buy something worthwhile. In those days, the average working man only earned about a dollar a day, so that made the Half Penny useful for day to day purchases. I would imagine there would have been lots of items that could be purchased for half a penny if you only made a dollar a day in wages. 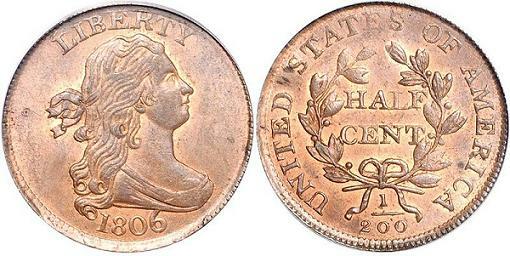 The United States half cent was authorized by the Mint Act of April 2, 1792, which approved all of the first federal denominations and established the United States Mint. Though this act authorized the production of all denominations, the half penny was among the first to be produced for circulation because producing the larger silver and gold coins required that security bonds be posted. The other authorized denominations were not minted until 1794 or 1795. This interesting coin, only worth half a penny, is about the size of today's quarter and the series offers the collector several interesting varieties. The 1793 coin is a scarce date and was one of the very first coins issued by the United States. 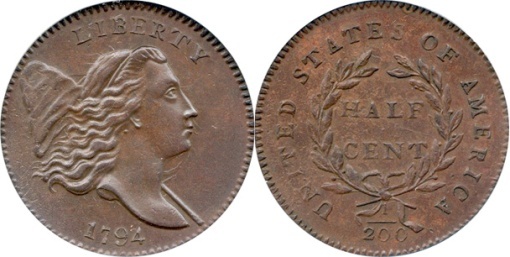 The 1796 half penny is the most valuable date. 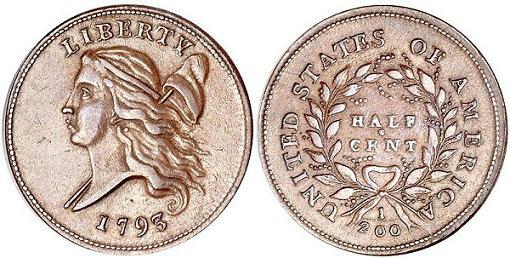 It is believed that all 1802-dated half cents were struck from spoiled large cents. In other words, they made them from large cents that were rejected for one reason or another, probably due to some error. This makes it the rarest date of this design type. This is a coin that is produced from genuine dies but at a date later than the original issue. were made. These are privately-issued coin like pieces that usually have a redeemable value for goods or services. They are not an official government coin., privately issued by businessmen, appeared in 1837 because small change was desperately needed. This token was the same weight and value as a half penny and looked very similar to United States mint issues of the half cent. 1852 - (Proofs only) Restrikes were made. There are not any mint marks on half cents. They were all made at the Philadelphia Mint as it was the only mint in the United States at the time. And since there was only one mint, there were no need for mint marks. All half penny coins are pretty scarce, but they are becoming pretty popular among collectors. Prices for common dates and varieties have remained at reasonable levels for many years. PCGS Price guide for Half Cents. Numismedia Fair Market Value Price guide for the Half Penny. Also see Coin Values Discovery for grading images and value charts for your half penny. In 1857, the Half Penny coin was discontinued forever. During its life span, these coins were needed desperately for everyday commerce, but eventually, the coin fell out of favor with the public. Mint Director James Snowden reported in 1854 that "People will not take the trouble to make a cent with two pieces of money". 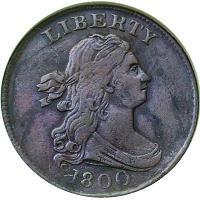 What's more, higher copper prices and increased labor costs made the coin unpractical to mint.